Here we are, after tracking i.e updating my inventory for my extensive skincare products that I have, we have arrived at the final post of 2018; Empties Post for the last quarter of this year so let's get started! As per usual, let's start with skincare and for this category I've finished my first bottle of that Natural Pacific (currently known as Nacific) Deep Cleansing Oil. One of the best makeup remover I've tried as it literally removes all kinds of makeup I have so I already am on my second bottle. As for the pump, I'm reusing it for another product that deserve at least a good pump. As for that full-sized I Am Sorry Just Cleansing: Cleansing Water which I'm only half-way through the 500ml bottle, I don't know why but it suddenly turned into that milky-coloured water. 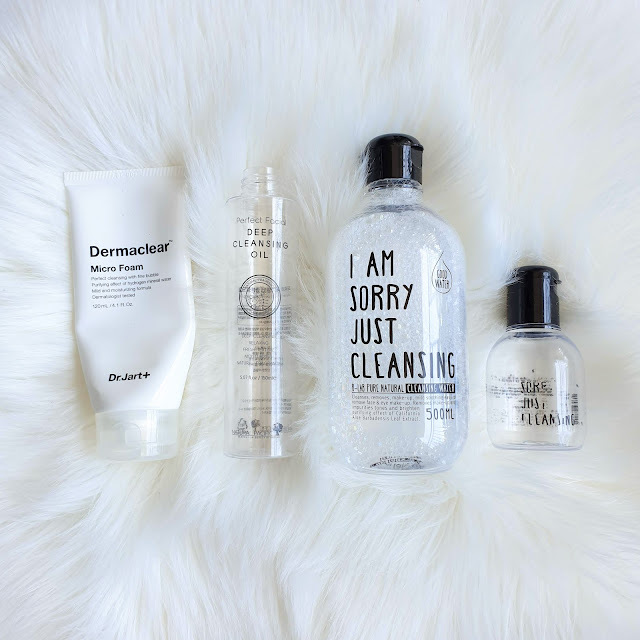 As I've already finished the travel-sized bottle, I stopped using the big bottle one on my face and use it to clean my makeup cases or bottles instead. Won't be repurchasing anytime soon. That Dr. Jart+ Dermaclear Micro Foam is a nice deep cleanser however I've noticed that this dries out my skin so much afterwards I had to spray on facial mist literally 3 seconds after stepping out of shower or maybe it's just my skin that's going crazy right now so I guess I won't be repurchasing this anytime soon. This time around, I've finished using that Innisfree Moisture Lip Scrub and its Treatment sister. I've got to say that I finally found products from the brand that I don't appreciate at all. Even after using these two together religiously, I still feel my lips aren't improving in moisture department. Won't be repurchasing. As for that Skin1004 Madagascar Centella Asiatica Ampoule 100, I'm so thankful to Wako Beauty for sending this product as it's truly a saviour while I was recovering from episodes of allergic reactions which resulted my skin being overly sensitive for about 6 months. I finished my first bottle and received another from fellow micro-blogger and I'm already halfway through it. Definitely will purchase a third bottle soon. I've finished that Koelf Bulgarian Rose Hydro Gel Eye Patches little after 2 months as my under-eye area had patches all over which is driving me nuts sometimes so it seems that it's time to enforce the habit of using eye cream in my routine. I'm not repurchasing this as I've already bought its sister product. 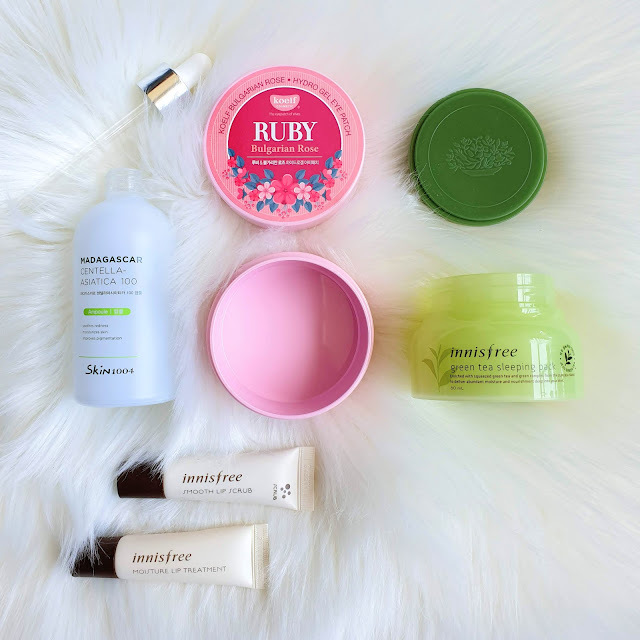 That Innisfree Green Tea Sleeping Mask is kind of nice as it does moisturise well and I don't mind the scent at all but as I've already tried its upgraded version, I'm going to get the new one instead. 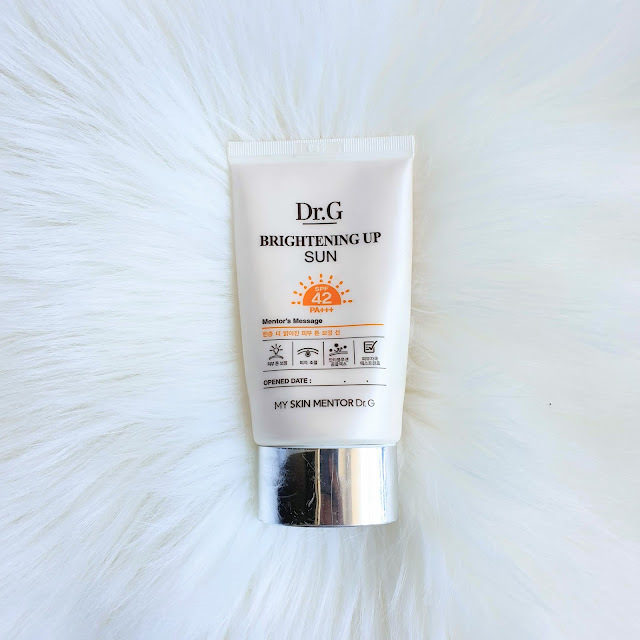 I actually felt sad when I pumped out the last portion of this Brightening Up Sun from Dr. G. From the overall finishing to texture and colour, I love every bit of this sunscreen. 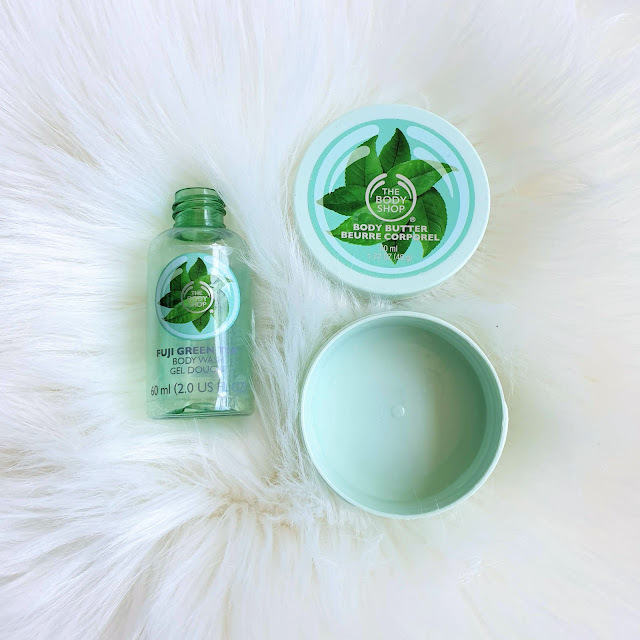 It works well with my skin and as I was so curious to try its sister products, I bought a trial kit that include the mini-sized upgrade version of the above sunscreen (SPF50+) along with the mild and moisturizing sisters with PA++++ from Sasa. 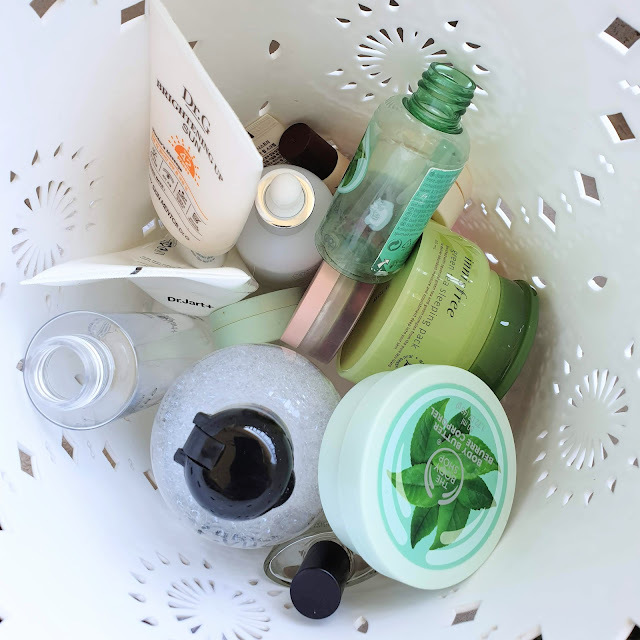 Now onto makeup empties! 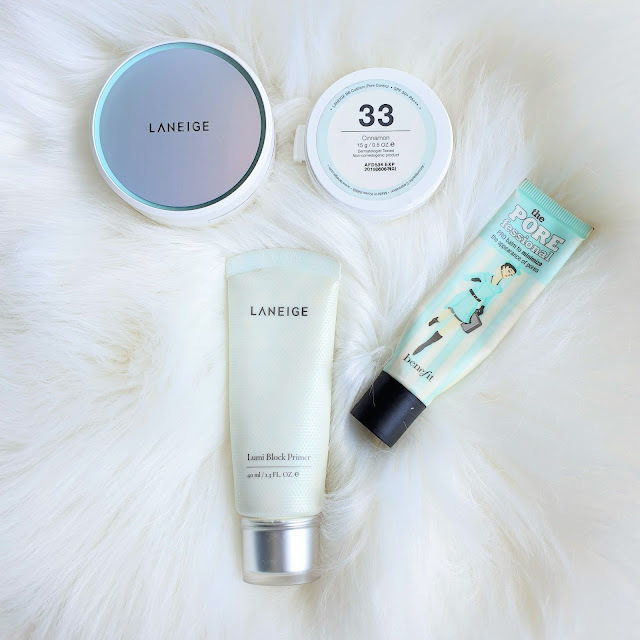 I've finished the LANEIGE BB Cushion Pore Control SPF50+ in No. 33 Cinnamon and I'm currently using its refill. You guys know I'm all over cushion foundations from LANEIGE and but I do think with the release of 2 other cushions; Powder Fit and Layering Cover Cushion this year, the brand will likely release the fourth upgraded version of their permanent line of cushion foundations next year. For primer, I've finished the first full-sized version of that Benefit Cosmetics POREfessional Face Primer and as I haven't found anything similar to it in terms of performances, I decided to just get another tube of it around April. As I use this primer solely under foundations, I always use that LANEIGE Lumi Block Primer prior my cushion foundations application as the consistency is thinner and suits the cushion foundation finishing; nice and natural even with powder on top. 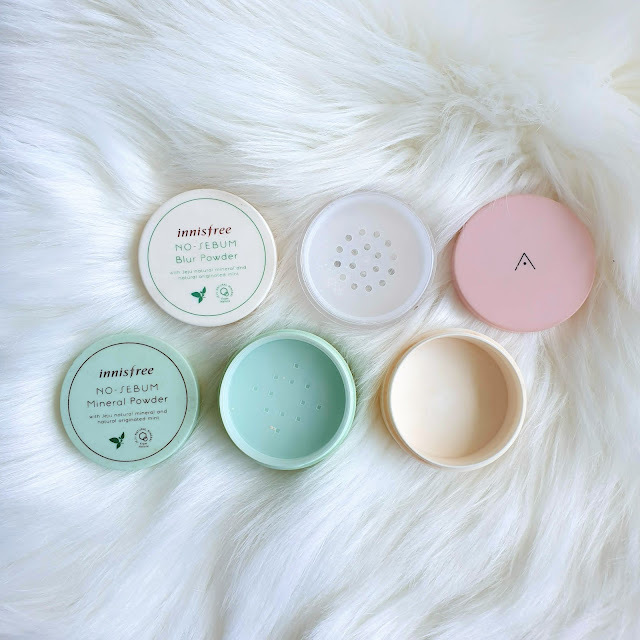 Speaking of powder, I've finished another tub of my all time favourite translucent powder, Innisfree No-Sebum Mineral Powder and its Blur sister. You guys probably can tell that I still have backups for both of these. Same goes to my newfound love in powder department, Althea Petal Velvet Powder in Translucent. I've finished my first tub and I already have 3 tubs as backups. Yes, I'm totally obsessed with this affordable makeup from Althea. While I was taking care of my hospitalised nephew throughout October till early November, I've finished at least 3 bars of homemade soap that I bought from Gaya Sunday Market and that travel-sized Green Tea Fiji Body Wash and Body Butter. As I don't like any of it, I don't think I'd be repurchasing them. Last but not least, Soul Secret Blossom Perfume from THE FACE SHOP in that 2017 holiday packaging. 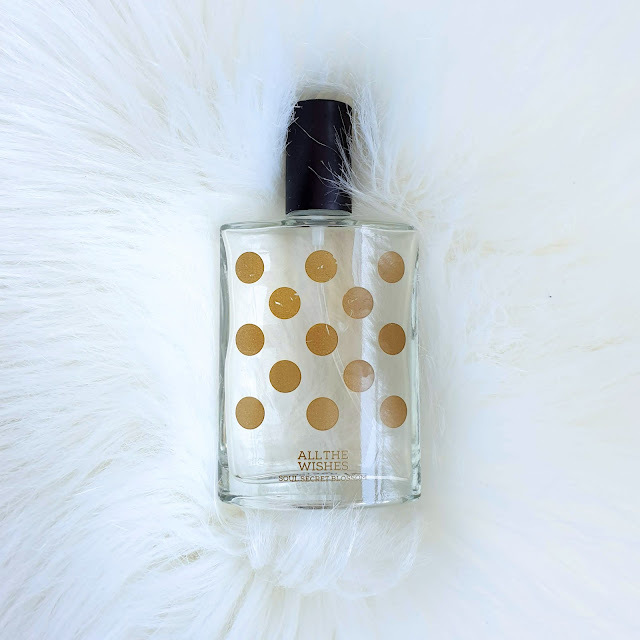 I do love the scent but I'm going back to my old favourite body mists from THE BODY SHOP for now and will not be repurchasing this anytime soon.